I got super busy, and didn’t do any free mixes for a while, and then this song came along and sparked my interest. I thought this would be a fun project to try, as it’s very rare that I get a chance to mix any type of EDM. 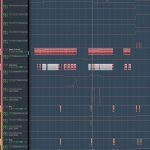 Most DJ/producer types who create EDM usually mix their own music, especially since they are crafting sounds and effects as they are working on the song. Antony had a pretty decent mix to begin with, which he thought was maybe 80 to 90 percent “there”, but was having trouble getting it polished up to what he felt was 100%. Also, he stated he would rather spend his time writing music than mixing and mastering. Another interesting thing about this song, which was also one of the main challenges I faced in the mix, was that the vocals were all vocal samples from a loop/sample company, and were essentially “pre-mixed”, with some vocal layers and harmonies already mixed into the samples. That meant I couldn’t split out those parts and work with them separately. Also, there was quite a bit of pitch-shift and time stretch artifacts from matching pitch & tempo of the vocals to the tracks. But, given the style, and the fullness of the tracks, it seemed to work out OK anyway. Antony usually does instrumental music, so this was one of his first attempts at doing a song with vocals. 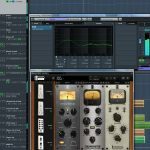 Antony had sent the tracks out to a couple of other mixing engineers to see if they could get the mix the rest of the way to where he wanted it, and he was still working with one of them on revisions at the time I decided to take it on as a free mix. However, part of my conditions of doing a free mix is that I wasn’t going to try to recreate his mix. I wanted to start clean and see what I would come up with, knowing that it would most likely be different than what Antony did on his own, and it could be a challenge for Antony to accept a different sounding mix when he is already so used to hearing his own mix (a very common problem that many mixing engineers have to deal with – when artists are so used to hearing a rough mix that anything different sounds “wrong” to them). However, we both agreed that this would be a good learning experience for both of us. We were mainly curious to see if I could come up with something on my own that Antony would like as much, or possibly even better, than his own mix. Antony did send me processed versions of his tracks, as well as “unprocessed” versions. However, the synth sounds he sent me in the “unprocessed” versions still had lots of reverb and chorus/delay on them (from the synth presets). So, I asked him to turn off all those type of effects from the sounds and send me really “dry” versions of the tracks to work with. That sparked his curiosity a bit more, because, evidently, the other mixing engineers he hired never asked for versions without the reverb. I personally find that most synth patches have way too much reverb and other time based effects on them to try to make them sound good on their own. But, when you start layering/stacking multiple synth sounds in a song, all of a sudden your mix is getting flooded by too much reverb. One of the things Antony wasn’t happy with in his own mix was he felt the mid-range was maybe a bit too muddy. 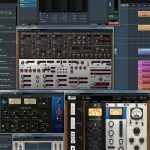 Too much reverb on everything can definitely contribute to that, and so I wanted to start with completely dry tracks, as much as possible, and use reverb sparingly. The other thing I thought could improve with the clarity and punch of the mix was to get rid of the ducking/pumping/sidechain effect that Antony had on all of the synth tracks. Listening to his processed versions of the main rhythm synths, I found that the timed pumping effect was killing much of the attack/bit of those synths, which was then being further muddied by too much reverb/delay. Similarly, I felt the drums and bass needed to be more up front, and much more clean as well (less reverb), to help drive the song, especially for EDM styles of music. He had what I felt was a bit too much reverb on the drums (particularly the snare) and bass. I almost never use any reverb on bass synth/guitar and rarely on kick drums either. The good thing is that with electronic music based on synths and samples, most of the sounds don’t really need “fixing”, so I used very little EQ throughout the mix. A touch of air here and there, and some filtering of lows from instruments to make more room for bass and kick drum, and then a bit low end enhancement on kick and bass as well. Also, Antony had layered several tracks for some of the parts, each with their own sound, so by adjusting the blend of those different tracks, I could tailor the overall sound to what I felt worked best. 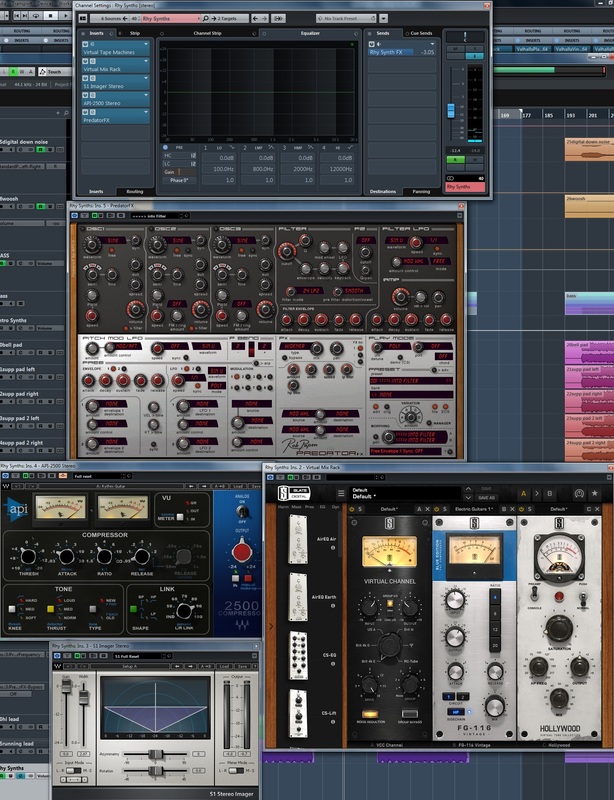 So, most of my mixing was focused on enhancing the music tracks, making space for the vocals, and trying out lots of different effects on the vocals to make them work and make them a bit more interesting. I’ll briefly mention what I did for each set of tracks, in the order of the screen grabs in the gallery at the bottom of this post. BASS – Not a whole lot needed to be done with the main bass tracks. 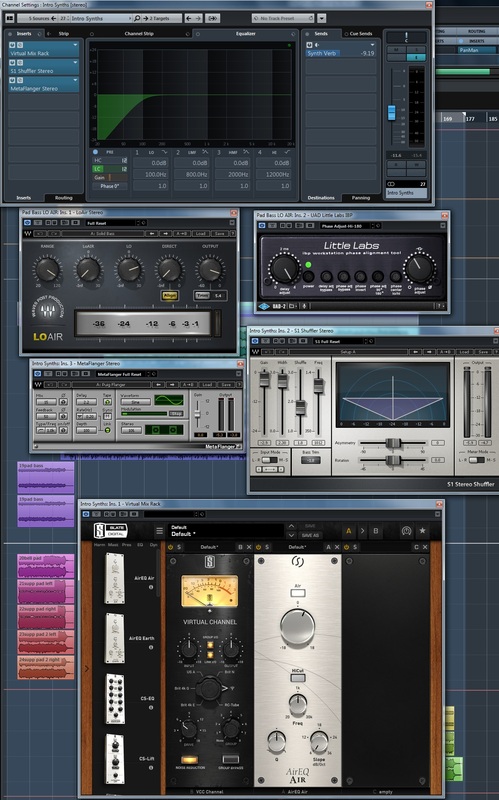 Antony had 4 tracks that made up the main bass sound, so it was mainly finding a good blend. Inserts were fairly straight ahead. 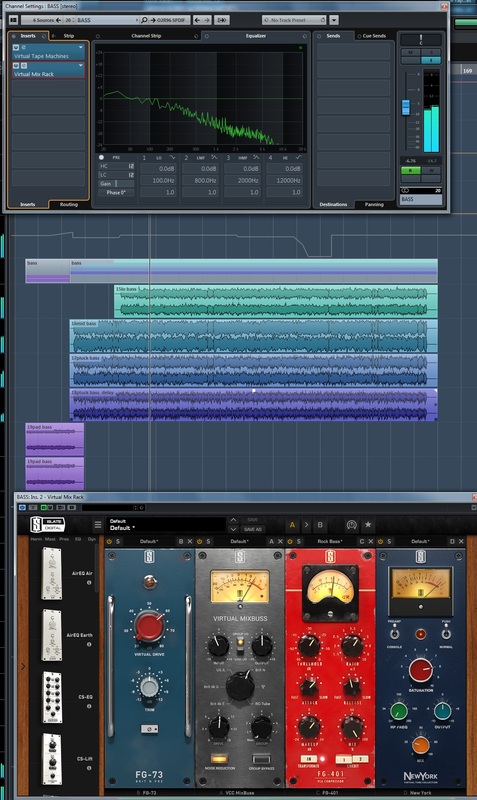 First some tape emulation with Slate’s Virtual Tape Machine (not shown), and then the Slate Virtual Mix Rack with a bit of drive from the Neve styled preamp emulation, then a bit of Neve style console channel emulation, followed by some light compression. The final tube emulation was actually added later. I had the mix already finished for a week, and then came back to it with the intention of listening with fresh ears and making minor tweaks to finish it off. 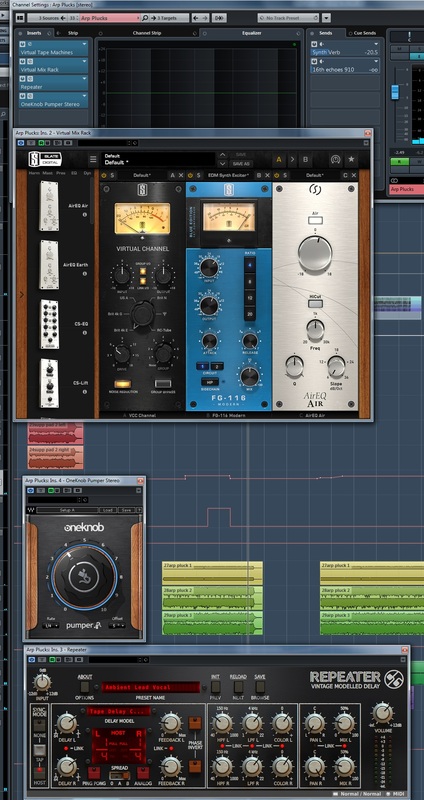 In that week, Slate released the Virtual Tube Collection, and I decided to try them out on a few tracks/busses in the mix, and I liked how it enhanced the sound even more, so I kept it. Basically just added a bit more drive/grit to help the bass cut through even more and fill it out even more. Kick and Snare – These were also fairly easy to work with, as they sounded pretty good to begin with. Kick was easiest with only Virtual Channel and then the “Earth” AirEQ. I used the resonant low cut of the Earth EQ to give the kick a bit more low end punch, along with a bit of the wider Earth boost. For the Snare, I used the Addictive Drums DS-10 Drum Shaper to give the snare some more attack, but to also pull out quite a bit of the release (which was mostly some built-in reverb on the sample that I was trying to reduce to make the snare punch a bit more). 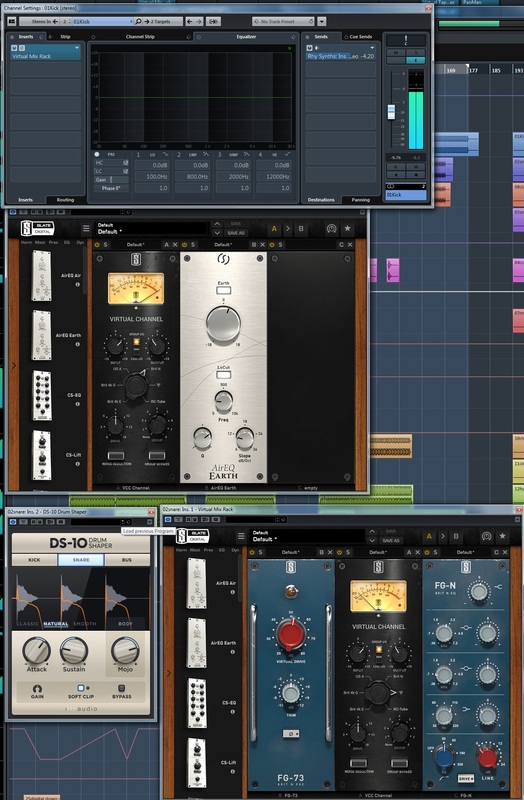 Again, some Neve style preamp emulation for a little bit of drive, then the Virtual Channel on the Trident style emulation, followed by just a small amount of EQ to cut a touch of low end from the snare and add just a bit more bit in the upper mids and high frequencies. Drum Buss – All of the drum tracks go through a group buss before being sent to the master buss. 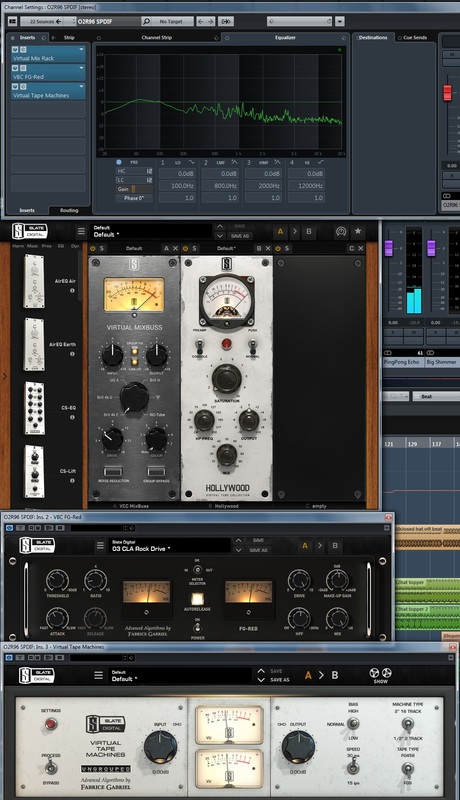 This Drum Buss has some Neve style mix buss emulation, followed by “the Monster” compressor blended in at about 50% (and not too aggressive of compression), followed by the London Tube emulation (added later). 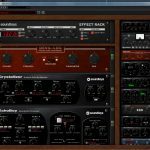 Rhythm Synths – I created a group buss for the synths which has the main rhythmic parts, and which I felt should be much tighter and clean than in Antony’s mix. Again, there were several tracks layered to create this sound (another reason for using a group buss, instead of putting inserts on every sound individually), so I mainly shaped the sound by the blend of the different layers. The amount of processing is fairly subtle again. A bit of tape emulation and console emulation, some very light compression, a bit of stereo widening, and then the (added later) tube emulation plugin. 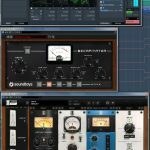 Instead of putting a “pumper” style plugin on this track, as Antony had originally done, I used the Waves API 2500 compressor emulation and sidechained it to the kick and snare drums, so that the rhythm synths would be ducked just slightly for every kick and snare hit, to help the kick and snare cut through even better. 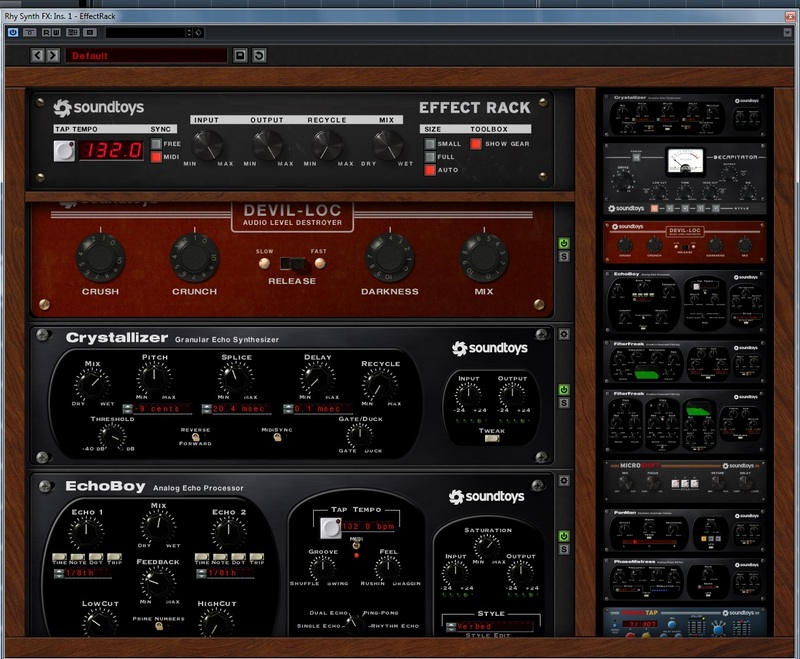 Then I had a Rhy Synth FX channel set up as effects send/return with a SoundToys effects rack. Instead of the big reverbs that were originally on the rhythm synths, I used a bit of Crystallizer and then EchoBoy with 1/8th note delay with the “verbed” style (to diffuse the echoes a bit).. all that with a bit of drive from the Devil-Loc mixed in. This whole FX chain was mixed subtly in with the dry rhythm synths to just give them a bit of space, while allowing them to still remain up front and punchy. There is also the Rob Papen Predator FX, which I only used for the filter sweeps in the middle of the song. That effect was disabled until needed, and then the filter cutoff was automated to sweep down and then back up. Hi Pump Synths – These were the higher frequency synth parts, again put through their own group buss, and blended to get the sound I wanted. Even less processing on these. I knew Antony wanted at least some of the pumping style effect, so these were the main synths that did that. 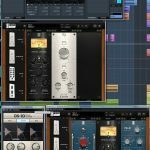 The One Knob Pumper plugin from Waves makes doing this super easy (no sidechains needed, just syncs to the tempo of your track). Other than that, some tape emulation and another instance of the Rob Papen Predator FX for the filter sweeps. Same FX were used for this group as the Rhythm Synths. 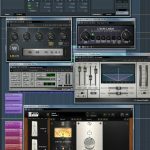 Intro Synths and LoAir – I just wanted to make the intro synths sound big and wide, but not necessarily loud. 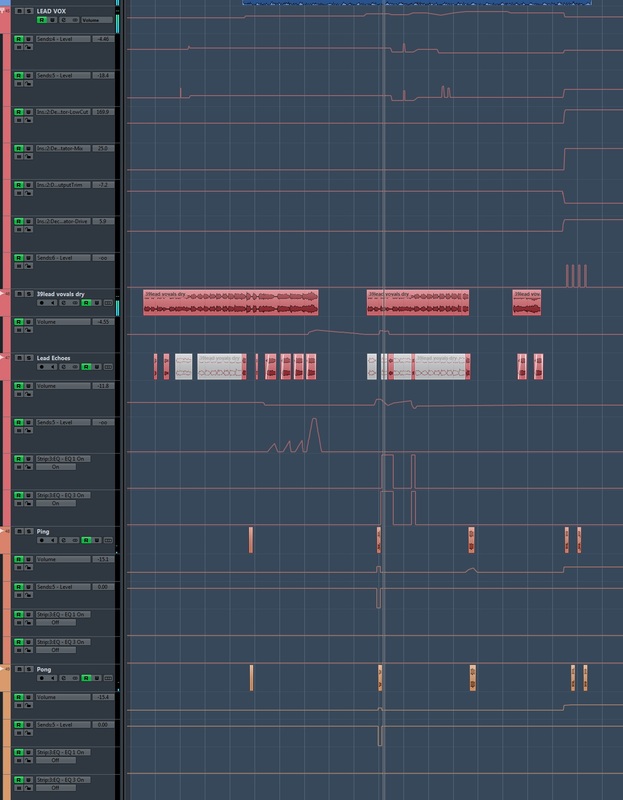 Again, this was mostly blending all the various tracks Antony had used for this section. I put some subtle flange on them for a bit of stereo motion, and added a bit of high end error to the higher synths, plus some of the usual console emulation, and some S1 Shuffler for a bit more stereo width/motion. There was also a bass synth track for the intro, which I routed to the bass group (instead of the intro synth group). 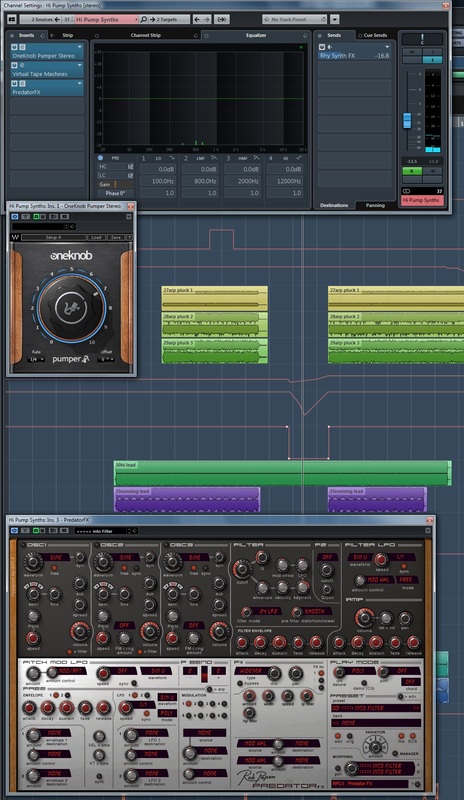 I really wanted to fill out even more bottom/subs with that bass synth, so I duplicated the track and ran it through the Waves LoAir plugin for some sub harmonic synthesis. 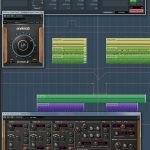 I also put the Little Labs IBP plugin on the track to get the LoAir output more in phase with the unprocessed bass synth track for maximum bass. Pluck Arp Synths – These are the triplet feel synth parts that come in here and there throughout the song. As usually, several sounds were layered, so I blended to taste. These also got a tiny bit of the pumper effect, but not as much as the Hi Pump Synths. 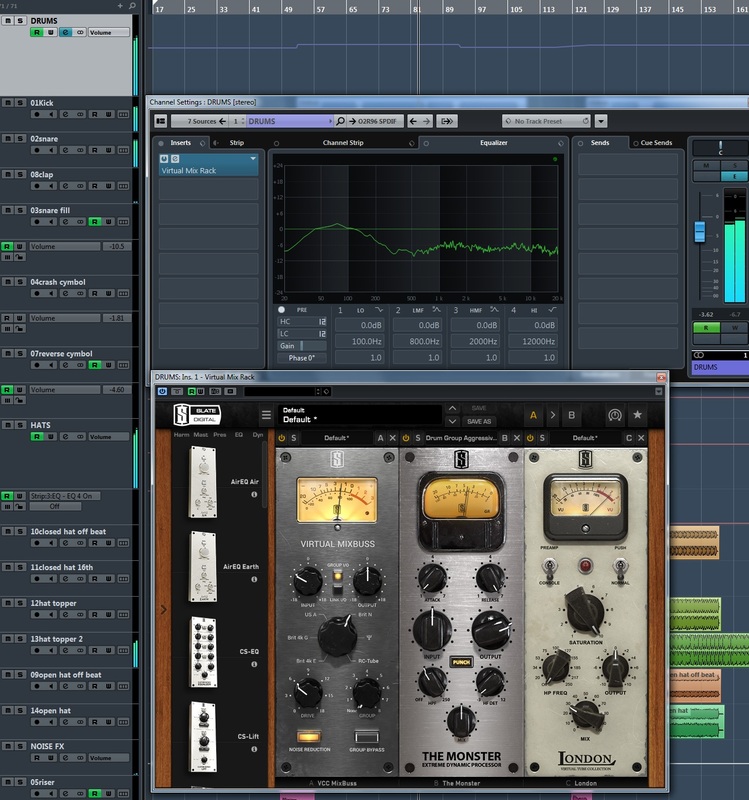 A little bit of compression and high frequency air EQ was all that was really needed. Then, there was a short rhythmic delay to emulate the original sound that Antony had (as I asked him to send me dry, he also took the delay out). Then just a touch of reverb set up on an FX send, plus another wider pitched delay type effect on another send that I turned on/off in certain parts of the song. Vocals – The vocals required the most work, much of which was just trying to come up with some creative delay type effects to make things a bit more interesting. 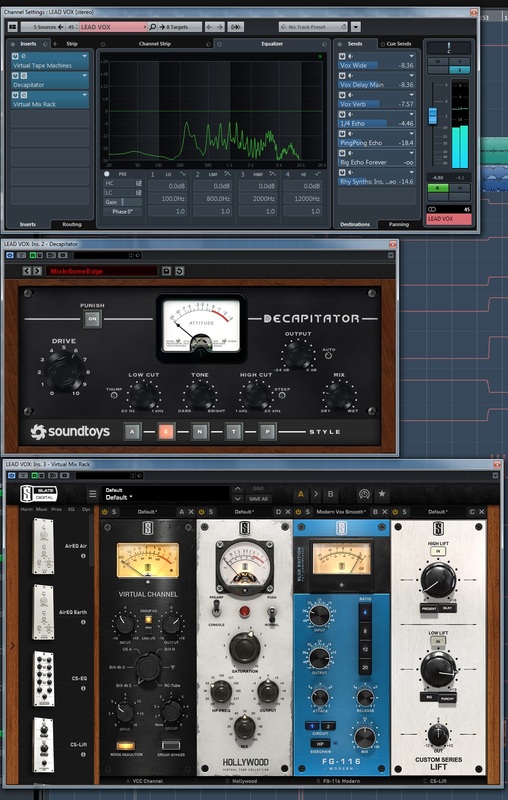 The Vocal inserts were a bit of tape emulation, followed by a bit of Decapitator for some subtle drive, then the Slate Virtual Mix Rack with console emulation, a bit of compression, and some high air lift. 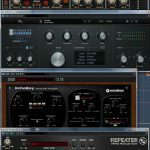 A bit more tube saturation was added later when I got those plugins. 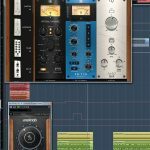 I used a LOT of different FX sends for the vocals, bringing them up and down with automation at different times of the mix. 4 different delays, one reverb, and a bit of micro pitch shift. In addition to the fx plugin delays, I also created my own manual delays by copying some of the audio to 3 other tracks, called “lead echoes”, “ping” and “pong”. Ping and Pong were used sparingly for a left-right ping-pong delay effect, and also had some automated EQ in a few spots. The “lead echoes” were mainly used as a feed to one of the effects sends to a plugin delay to extend the end of some phrases, as well as to create echoes for certain words. 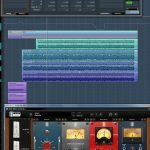 Mix Buss – Fairly simple master mix buss processing. 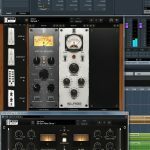 Some mix buss emulation, a light touch of compression, plus some master tape emulation. Later added a touch of the “Hollywood” virtual tube plugin from Slate.